If there is one thing I love it's Scandi style. And no, I'm not just talking about IKEA (even though I practically lived there over the last 2 weeks whilst furnishing my flat!) I'm talking about that effortlessly coooool, minimalistic look which is so simple that it's beautiful. Little did I know, that Scandi cool wasn't only for the wardrobe - but also beauty too now! 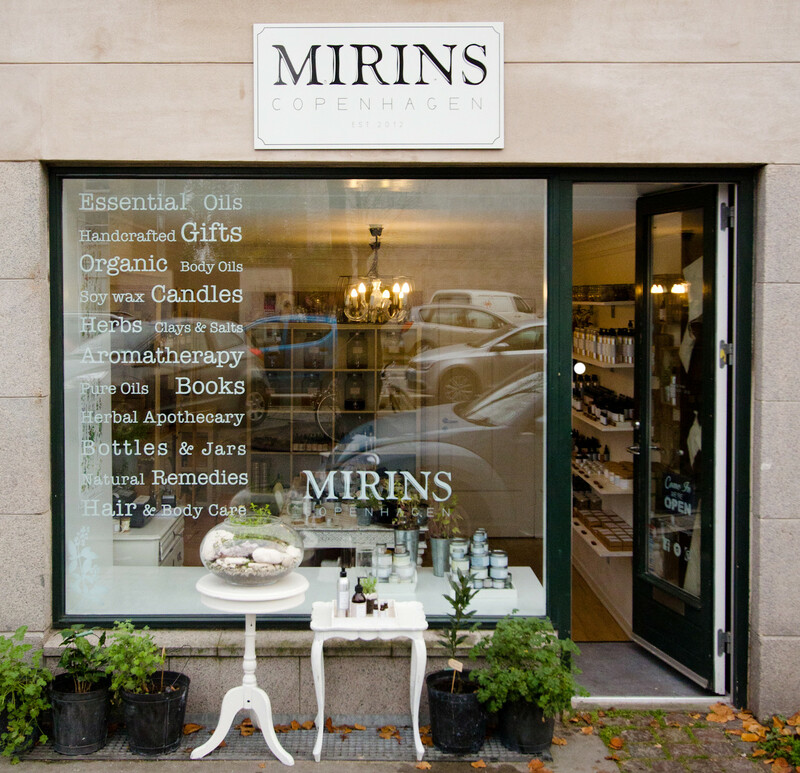 Enter Danish beauty brand Mirins Copenhagen. Mirins has a whole ethos based on hand crafted, natural body care using essential oils, aromatherapy and ingredients without parabens or SLS. 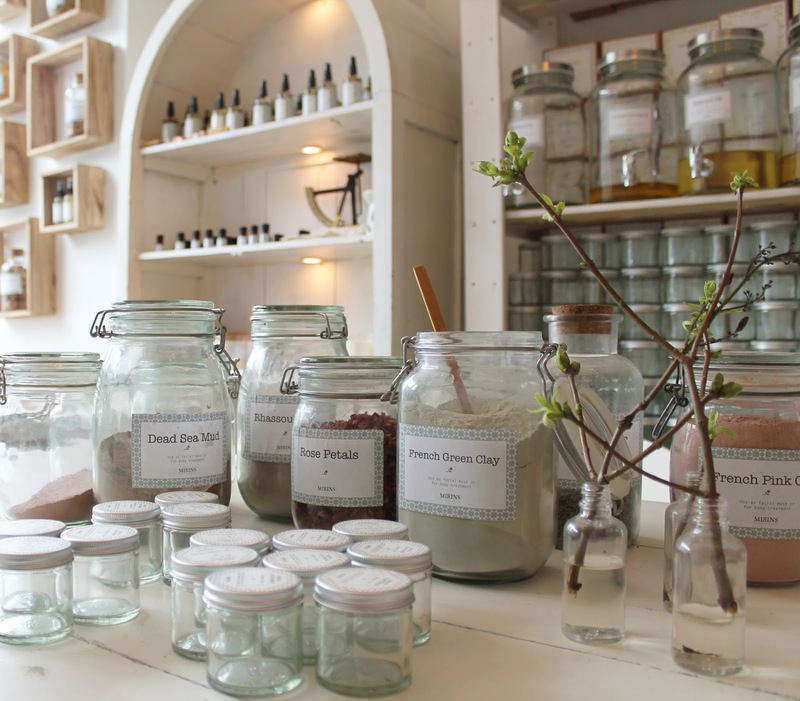 Just look at how gorgeous their Copenhagen shop is! Like some amazing beauty bakery.. I was really delighted when Danish company Mirins contacted me to try some of their products. Upon first glance they are the epitome of Scandinavian chic - simple, neutral colours but still stunning in a very natural way - unsurprisingly the ingredients are all natural too. 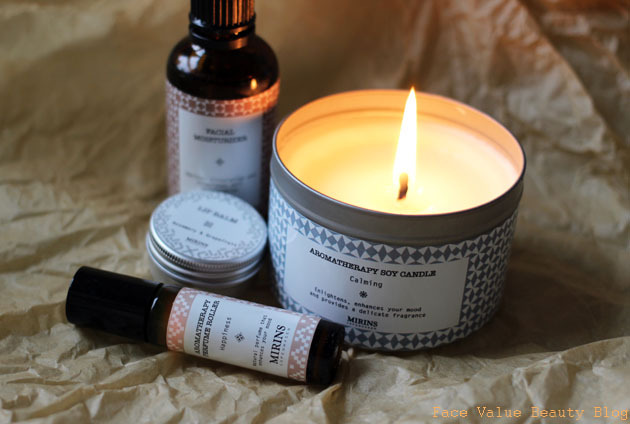 First up, this Calming Aromatherapy candle - how did they know?! I frigging laaaahv a candle, especially this Lavender and Bergamot scent which is great for gettting in the ZZz mood before bed. This Aromatherapy candle is made of soy wax which burns a lot cleaner and carries the scent a lot better. 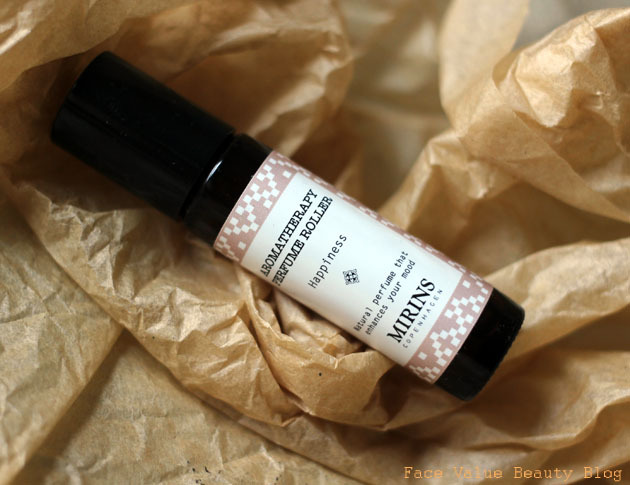 This Mirins Facial Moisturiser is actually a facial oil, designed to normalize dry areas, improve circulation and cell regeneration. The facial oil was light and absorbed quickly, it didn't feel sticky and it didn't feel heavy! I really enjoyed using it and it definitely brought the glow back to my skin after a big day (okay okay, big night out!) Again, I love the fact that it's all-natural, with no parabens or any nasties. 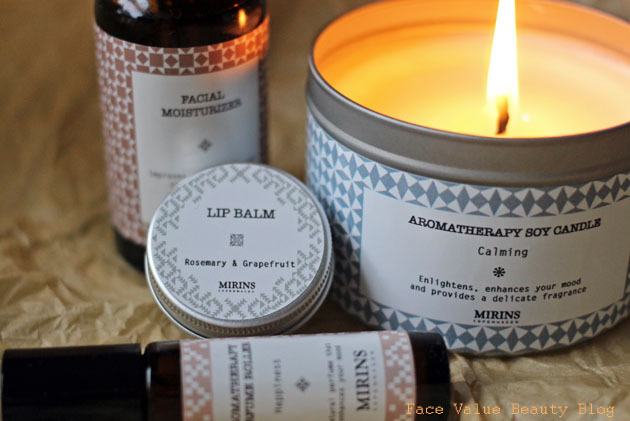 The Mirins Lip balm is a strange one for me - the Rosemary & Grapefruit scent and flavour is particularly unique, I've never seen anything like that before and I loved it. What reeeally didn't do it for me was the hard texture and low volume. I'm not too posh to push my finger around the pot but it's not very full or soft so you have to use a bit of elbow grease to get some product out! I also tried the perfume roller called Happiness - a lovely citrus and mint smell! I prefer using essential oils as perfume because I find that the scent lasts longer and doesn't irritate sensitive skin. I also enjoy rubbing it onto pulse points and inhaling it for the ultimate on-the-go mood boost. (trust me, people on the Tube love it and don't think it's weird at all...) Oh yeah and it's the perfect size to slip into my purse. 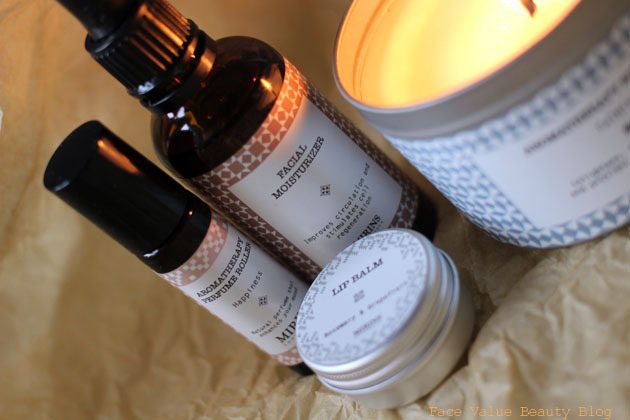 So, despite my computer desperately trying to call it ‘Morons’ – I definitely recommend you check out Mirins Copenhagen if you like simple and effective and natural skincare. The prices range from about £5-£20, and there are also lots of lovely handwashes that I want to check out. It's very much like a discounted version of Aesop! The packaging is so chic, so beautiful, so very very Scandi - it will look great on a rustic sideboard, with lots of industrial metal in the background.... oh man, I am so tempted to just grab a sledgehammer and rebuild my bathroom so that I have a bathroom sink worthy of my new Mirins Copenhagen products. Hmm...watch this space..
What do YOU think? Do you like simple skincare, or something a bit more fancyyy? How important are no paraben formulas to you?